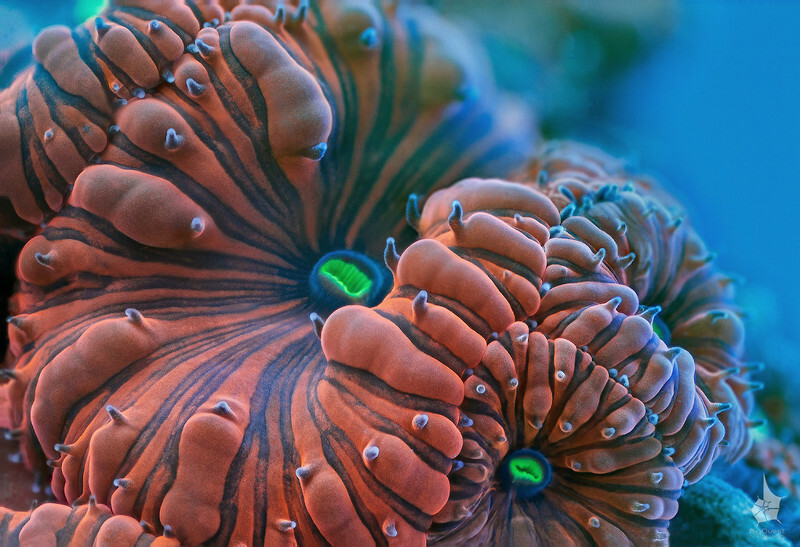 Coral (Blastomussa wellsi) extreme close-up. This image is available in 3d. Side-by-side stereo image for those who are comfortable with eye-crossing. Other formats coming soon.